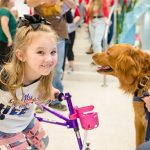 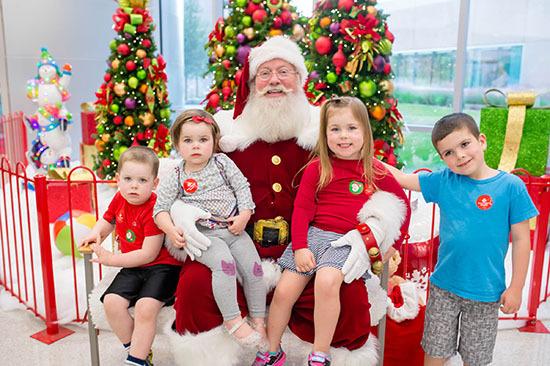 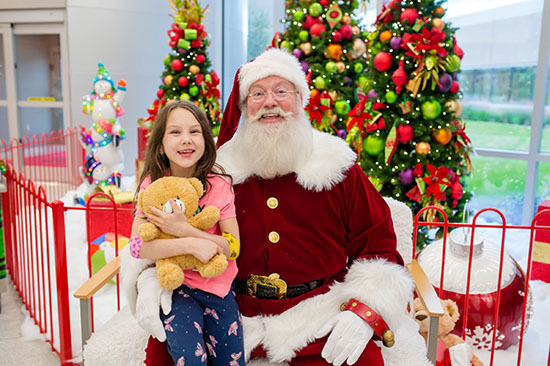 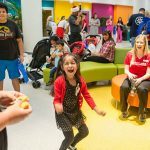 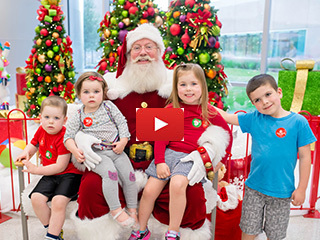 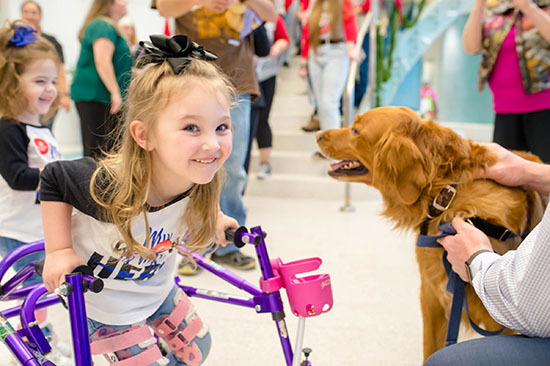 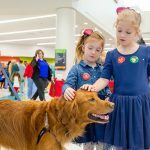 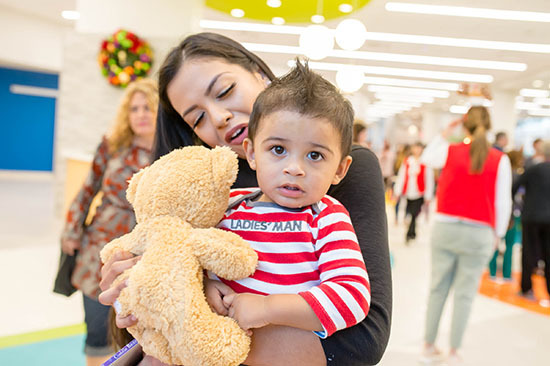 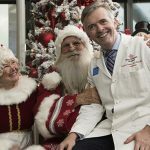 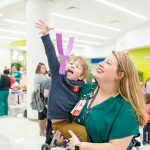 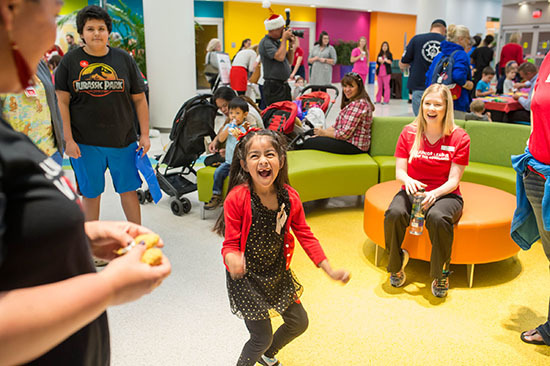 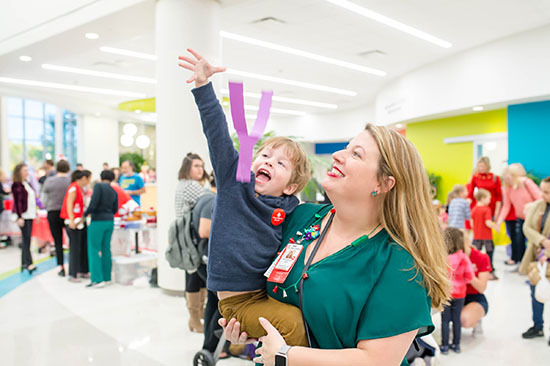 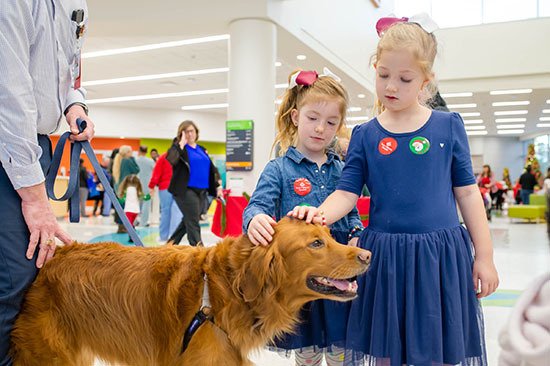 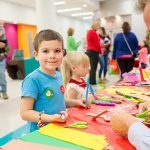 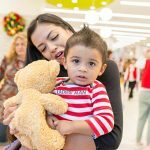 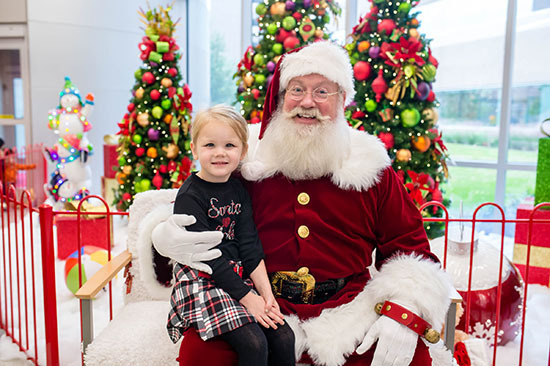 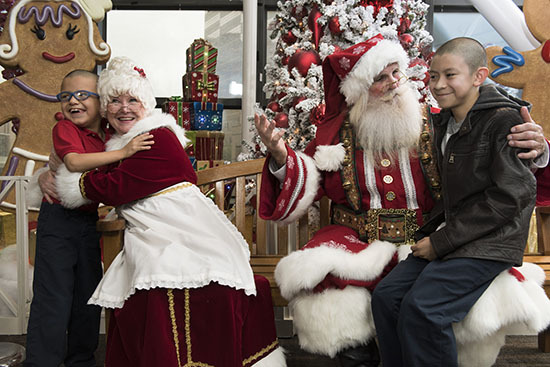 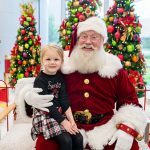 We are getting ready for the holidays at Texas Children’s, and both the Medical Center Campus and the Woodlands campus hosted their annual tree lighting ceremonies to kick off the season. 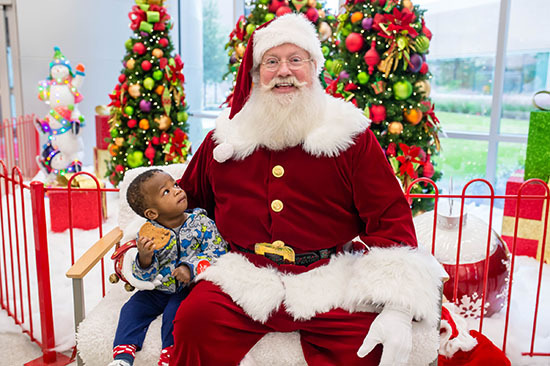 On November 28, over 200 people attended The Woodlands campus’ second annual Tree Lighting event. 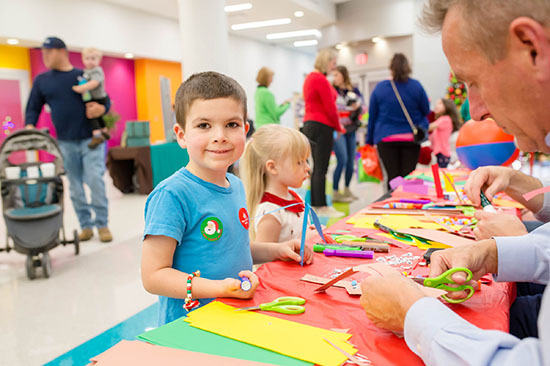 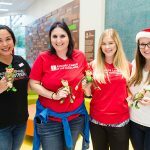 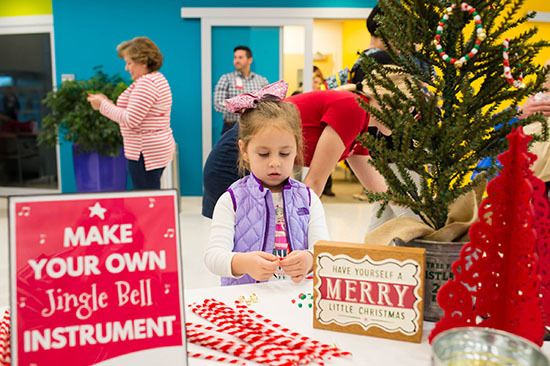 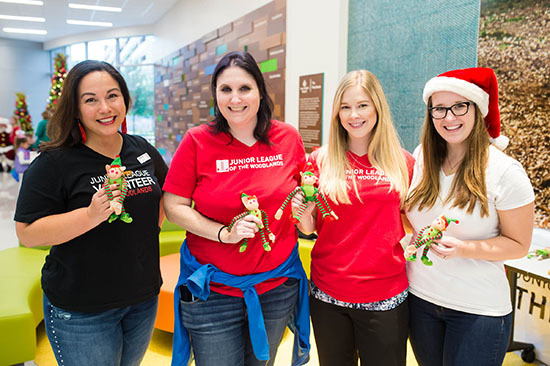 Volunteer Services and Child Life arranged a fun filled holiday experience for patients, their families, and The Woodlands community. 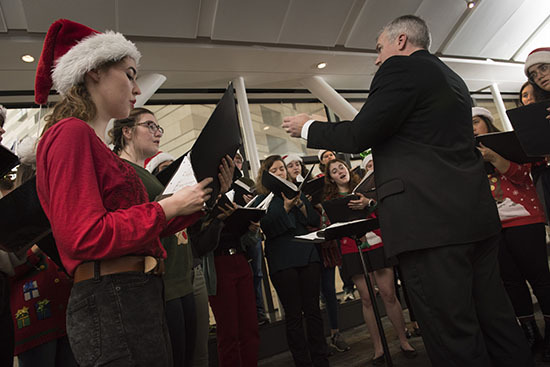 The event began with carols from the Caney Creek High School Choir on the lobby staircase. 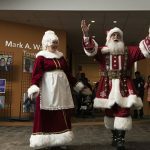 Moments later, everyone gazed and applauded as Santa Clause strolled down the same staircase toward the Christmas tree. 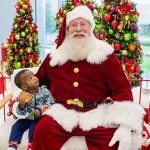 The Woodlands Vice-President, Trent Johnson, welcomed everyone and thanked the community partners for attending, and proceeded to introduce Santa, who magically lit the Christmas tree. 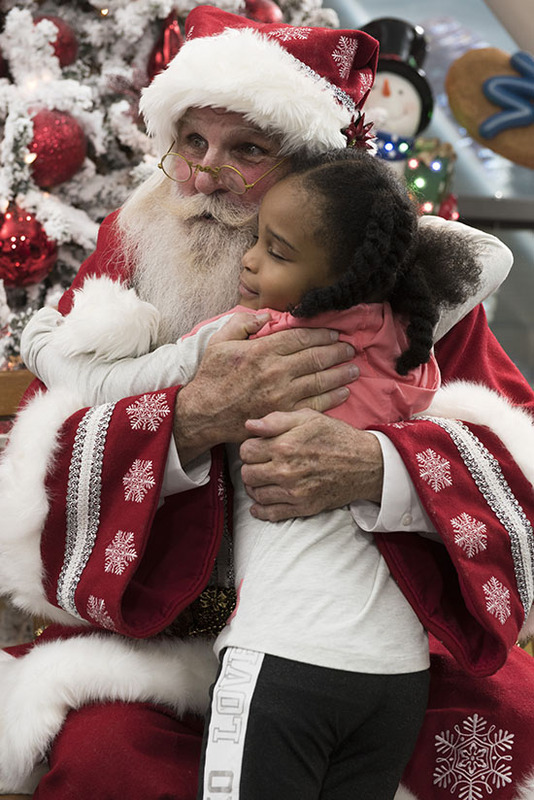 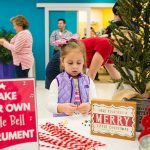 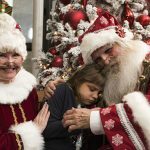 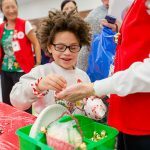 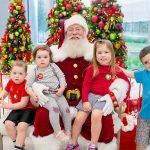 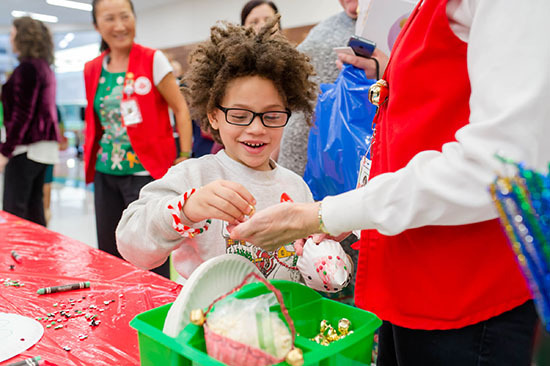 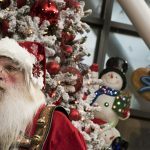 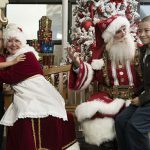 As some kids lined up to take pictures with Santa, other played games, participated in arts and crafts, and indulged in the refreshments that included the a hot cocoa bar and tons or sweet treats. 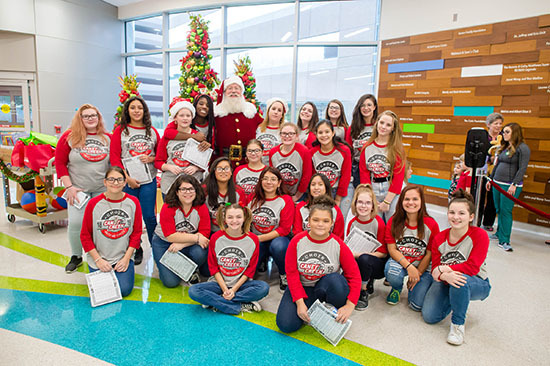 Many Woodlands community partners helped this event come together this year, such as: The Newfield Exploration, the Panther Creek Inspiration Ranch, The Cynthia Woods Mitchell Pavilion, Caney Creek High School Choir, The Woodlands Art Council/Woodlands Children’s Museum, The Junior League of The Woodlands, Ray Larson Realty, and Texas Children’s Hospital partner, Morrison’s catering. 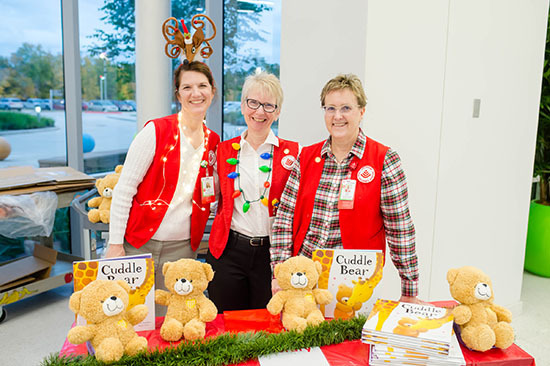 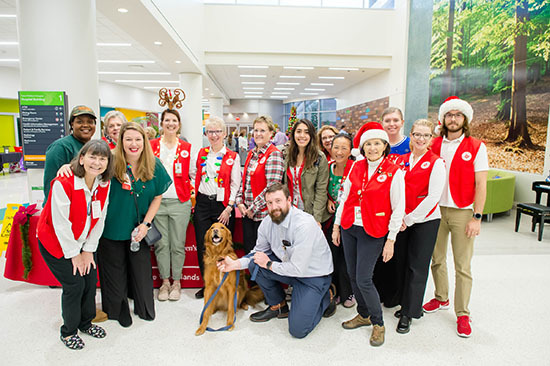 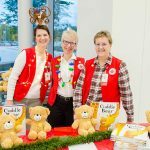 The very next day, Senior Vice President of Texas Children’s Hospital, Tabitha Rice kicked off the annual tree lighting event hosted by The Auxiliary to Texas Children’s Hospital and Volunteer Services, located on The Auxiliary Bridge of the Medical Center campus. 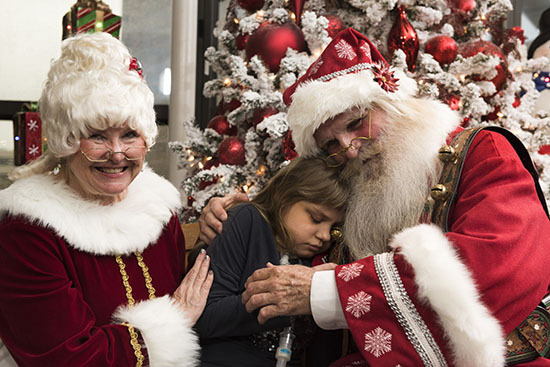 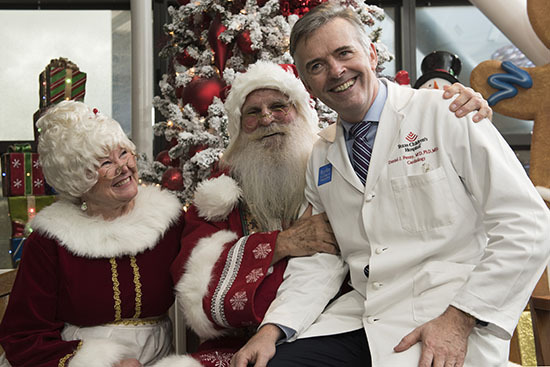 With the help of a lucky patient, the bright lights magically turned on and Santa’s HO HO HO could be heard as he and Mrs. 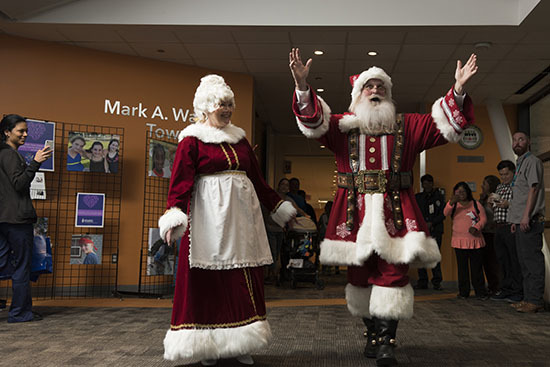 Clause walked down the hallway. 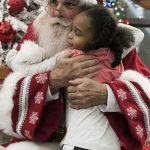 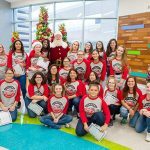 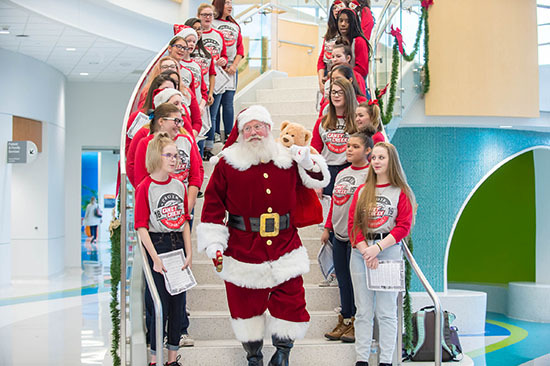 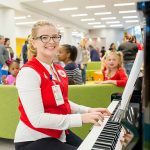 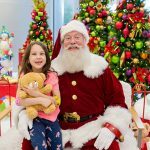 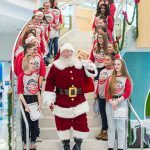 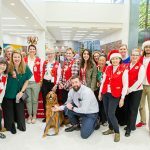 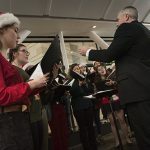 Santa also visited patients who were not able to leave their rooms, and St. John’s School’s Kantorei choir sang holiday carols to more than 50 patients and their families. 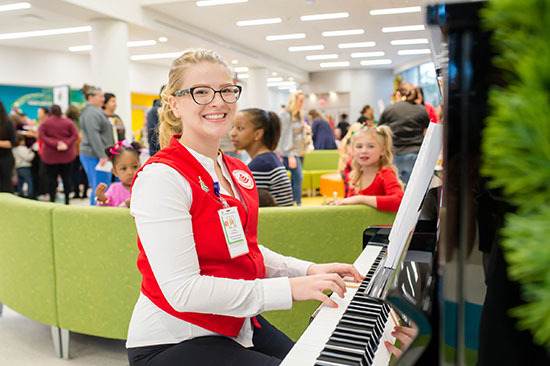 With the holiday season upon us, there’s plenty of cheer left for patients, families and employees throughout the rest of the month. 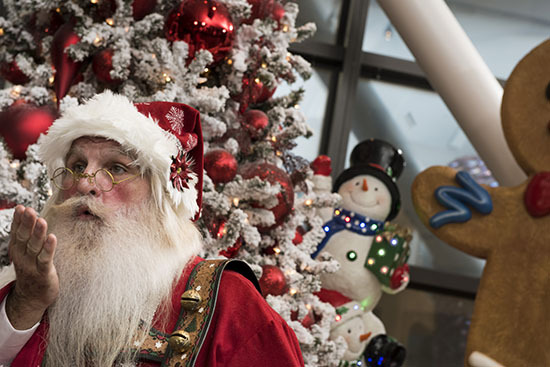 View photos below from both tree lighting ceremonies.